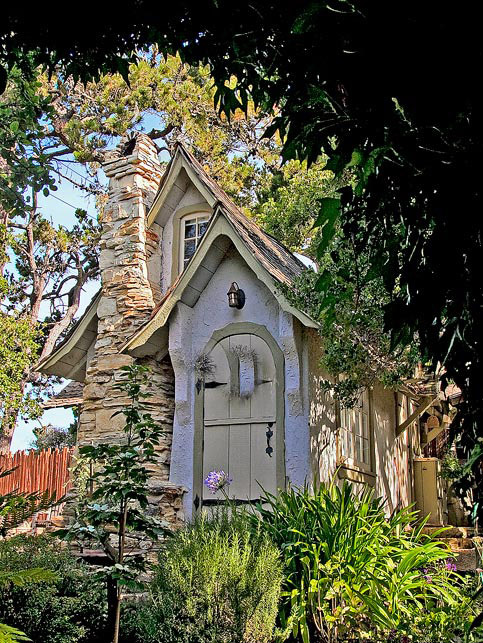 In 1924, Hugh Comstock build the Hansel cottage for his wife, Mayotta, as a studio for her doll-making hobby as it began to grow into a business. Mayotta rag dolls, called “Otsy-Totsy” dolls, became quite popular during that time. Photo © copyright by Mike Barton.